Hey! Bit of a different one from me today. I’m going to be down in London a bit more over the coming months, so I thought I’d start a little series! Meet “The London Diaries”. Even though I’m going to be exploring new places, I’m not intending on writing full “review” style posts. Jack’s moving there for uni, so when visit I really want to make the most of my time with him, not with my blogger brain on. Saying this, I’m still going to be snapping away on my camera and finding things to share so this is where they can go. Also, be sure to read until the end to find out how to get hold of a free city guide! A few weeks ago I was lucky enough to win a trip with Thames Rockets on their Ultimate London Adventure. 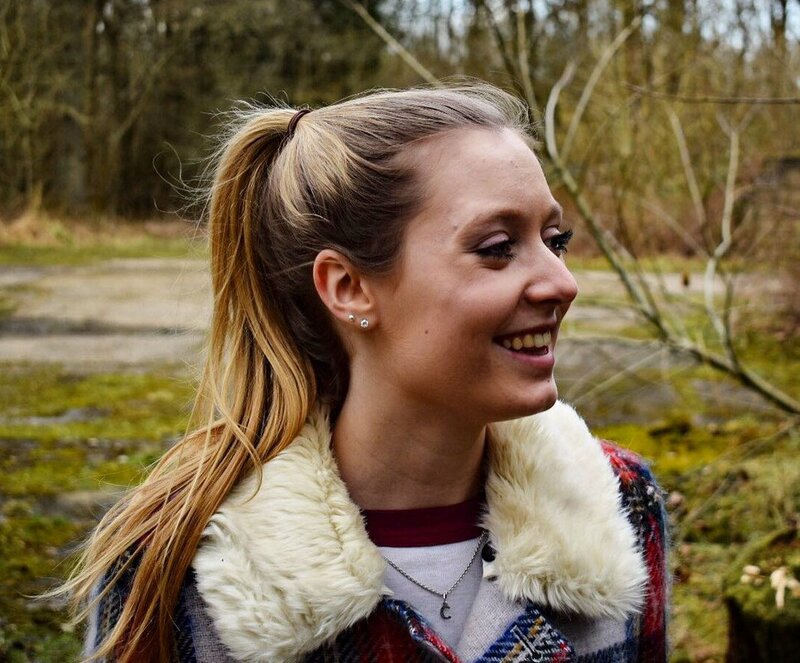 The giveaway was hosted by Jessica of Journeys with Jessica who’s written a full review of Thames Rockets here. 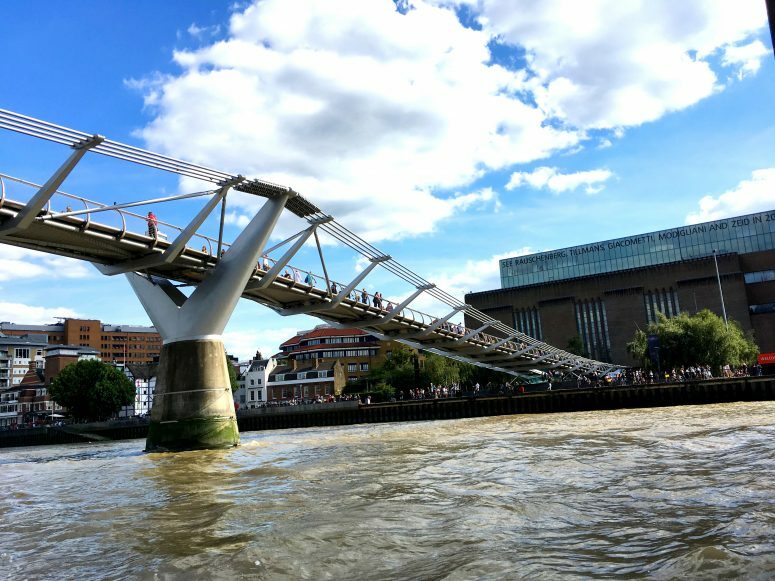 Essentially, Thames Rockets run a tour of Central London from a speedboat on the River Thames. The first 25 minutes consisted of us rocketing from Tower Bridge to Canary Wharf and back again at speeds of up to 30 knots (35mph). I didn’t quite realise how fast that actually is but I can confirm, it is very fast. For the last 25 minutes we had a tour of 22 iconic London landmarks including St Paul’s Cathedral, the Shard and the London Eye at a much more leisurely pace. Our guide Rory was just the right mix of informative and humorous and kept us entertained the whole way through. If you get the opportunity to go on a Thames Rockets voyage then I’d definitely recommend you do so. 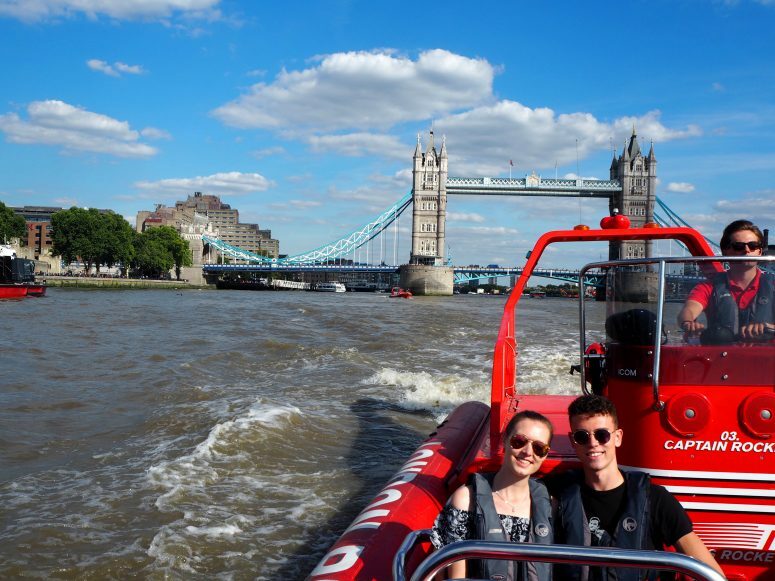 It was a great way to see London from the water with an added adrenaline kick for the more adventurous! Thank you so much to both Jessica and Thames Rockets, I’m very grateful to have had such a great experience. If you’d like to book with Thames Rockets then click here to head to their website. The Ultimate London Adventure is £39.50 for adults and £29.50 for children. I found this gem on Atlas Obscura, if you haven’t heard of it before then definitely check it out! It’s basically a guide to more obscure things to do and see in some of our most visited cities. I’ve done the main London attractions before so I was using it to find somewhere a bit more unusual. The church of St Dunstan-in-the-East was originally built in 1100, half way between London Bridge and the Tower of London. It was severely damaged during The Great Fire of 1666, after which it was rebuilt, before being destroyed during The Blitz in 1941. The church has remained relatively untouched, with the exception of the Public Gardens which opened in 1970. It’s also now completely surrounded by newer, more modern buildings including the Sky Garden. I’ve you’ve visited London Bridge and the Tower of London then you’ve probably walked straight past and not even noticed it. 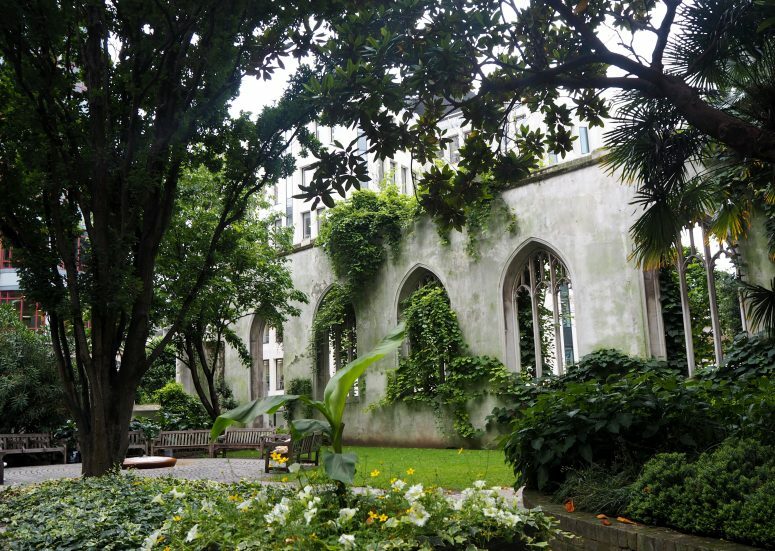 Through the planting of wall shrubs and climbers, the ruins have been developed into a beautiful secluded garden. It really is the perfect place to get a bit of breathing space in such a busy city. In fact, you completely forget that you’re in a city as soon as you step inside. St Dunstan-in-the-East is also a great place to take a few photos due to the many arches and plants weaving their way around the stonework. It’ll be great for your Instagram, trust me. The gardens are free of charge to enter and are open from 8am-7pm daily. 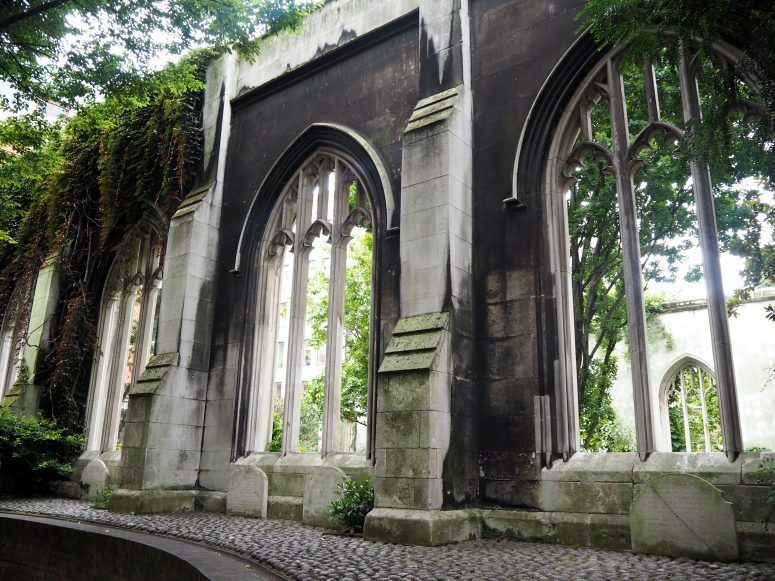 St Dunstan-in-the-East can be found down either Idol Lane or St Dunstan’s Hill, off Great Tower Street. Now, Camden doesn’t really need much of an introduction. 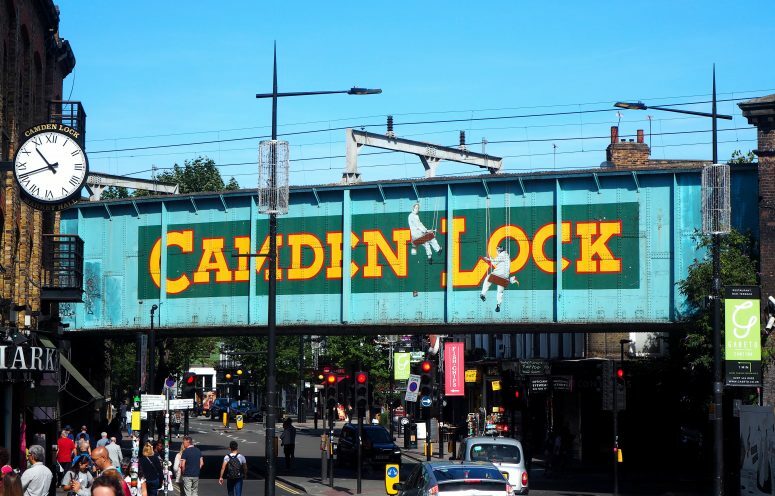 Full of arts, crafts, jewels and trinkets, Camden is a must-visit for any bargain hunters. Technically Camden isn’t one big market, but a few different adjoining markets and streets. Did I mention one of the markets is an epic food market?! I could literally have spent a whole day just eating my way around. One of my favourite things about the area was the vast diversity of people visiting; from tourists with cameras to edgy Dr Marten wearing locals, it just showed that Camden has something for everyone. Some of the actual shops were pretty amazing too! One had giant Converse on the exterior walls and another had an interior reminiscent of a glowing neon rave. There are no limits on what goes in this quirky part of town. We only spent a couple of hours in the markets to soak up the vibe and have a little nosy in some of the stalls. If you want to explore properly and try a few different foods then you could easily spend a whole day wandering around. 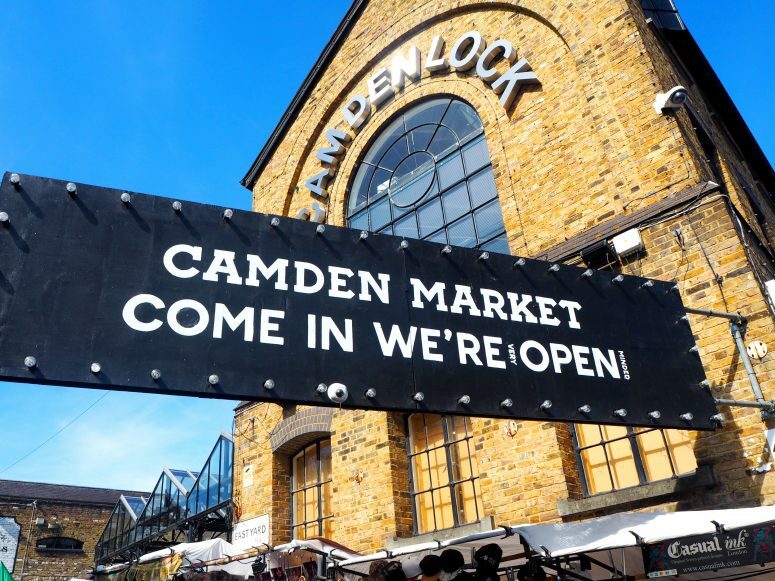 Find out more about what Camden has to offer on the main website here. The markets are open every day from 10am to late and are easily accessed via the Underground (Northern Line). I also tested out a new app when I was last in London and it proved far too good to keep to myself. 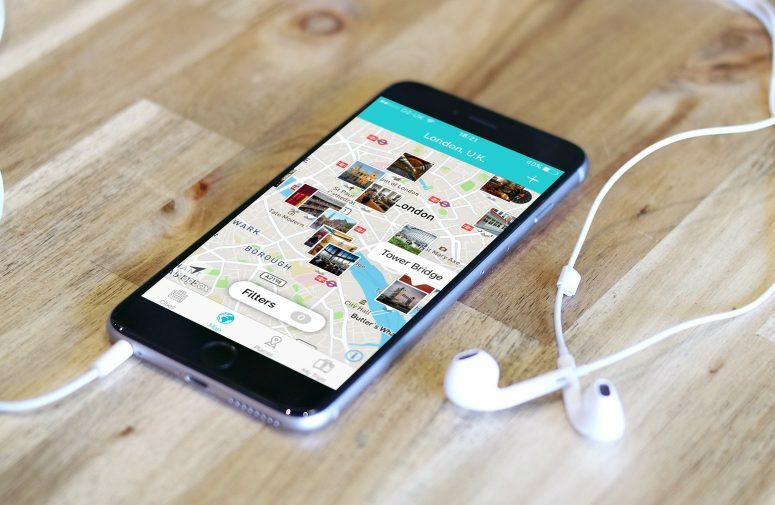 TripScout is an up and coming travel app designed to allow you, the traveller, to go on your own self-guided city tour. The app currently covers cities including New York, Buenos Aires, Barcelona and Singapore amongst others. If you’ve got a European interrail trip planned then I would 100% download the app as there are guides for all the major cities! Say goodbye to Data Charges! The app is made up of guides for each city, which can be downloaded for around $2-5 each (£1.50-4). Each guide is centered around a map with pinned images on each attraction, and can be used both on and offline. Say goodbye to horrible data charges! Each image opens up to display a page with all the information you could want for that attraction. With a brief summary, address, directions, opening hours and a link to the website, you literally have everything in one place. The app also includes lots of audio guides for an additional source of information. Now, I hate visiting somewhere and dithering around with a hand-held audio guide or on a guided tour. TripScout completely changes the game here as it leaves you free to explore while still getting all of the background info you could want! Alternatively, you could listen to the guide before/after your visit from the comfort of your hotel room. The London Guide is full of top attractions including Buckingham Palace and Big Ben as well as some more unusual destinations like the Old Operating Theatre Museum. I had no idea that even existed, did you?! It’s just perfect to use on-the-go when you don’t want to carry a guidebook around. Get your FREE CITY GUIDE! It also just so happens that the lovely creators of TripScout have given me an exclusive code so you can get hold of your very own city guide for free! I can also announce that I’m now a TripScout Ambassador too so I’ll be helping them find new locations for the guides and bring you all the news on any new updates! Simply download the TripScout by clicking this link or searching your app store, select a destination and enter “ticketsandtravels” in the Promo Code section. Let me know which guide you download, I’d love to find out! Thank you so much for your continued support, it means the world. As an Ambassador for TripScout, I was given the London Guide free of charge for the purpose of this review. All words and opinions are, as always, my own. "A Safari Tent Stay-cation at YHA Tanners Hatch, Surrey"
"A Highland Fling: Exploring Scotland with Highland Experience Tours"